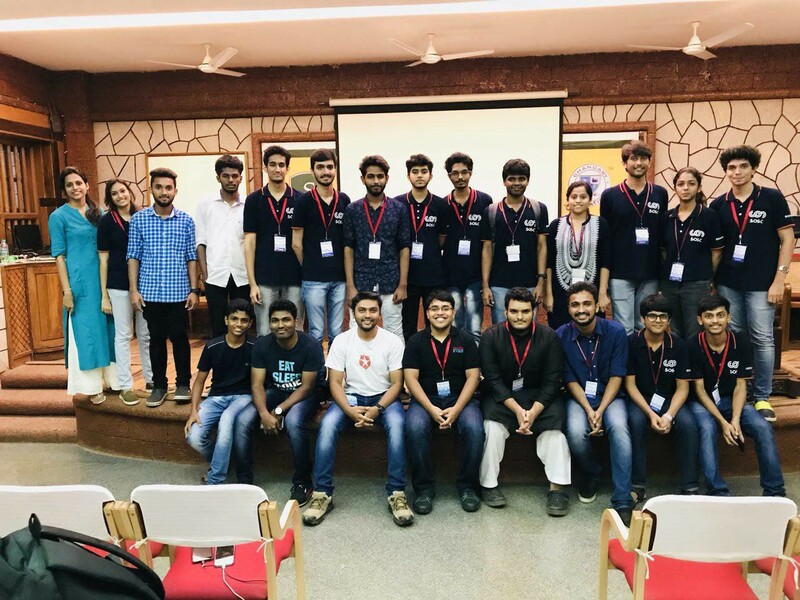 Students from different universities and colleges in and around the region, join in hands taking part of this event’s workshops, hackathons and talks. 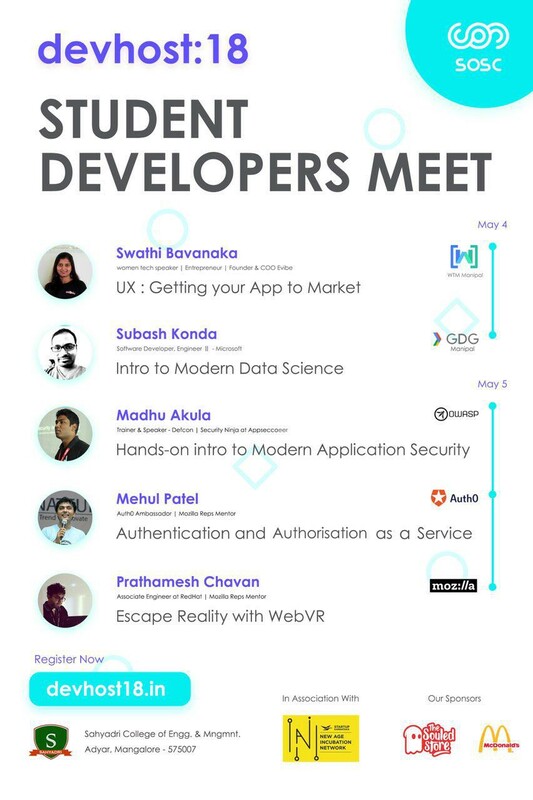 This is the 2nd time I got the invitation from the team, first time I was not able to make it due to a tight schedule but this time team contacted me and requested me to make it anyhow and I really like their enthusiasm to learn and share about open source technologies and finally I make it. This conference has lined with amazing speakers from all over India who represented the different organization with the same motto. Our goal is to promote and educate people about authentication & authorization. Also, learn about the different concepts that make up server secure and stable. 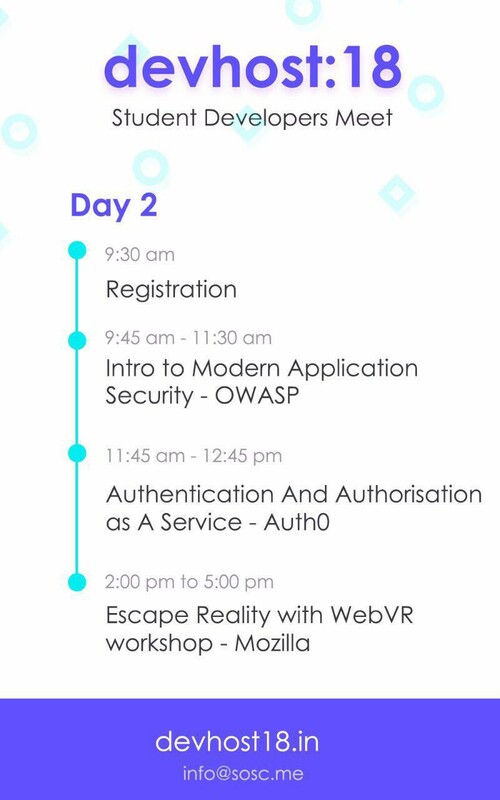 As mentioned earlier that event originally for one day only and now it was for 2 days and my talk was scheduled on the second day. 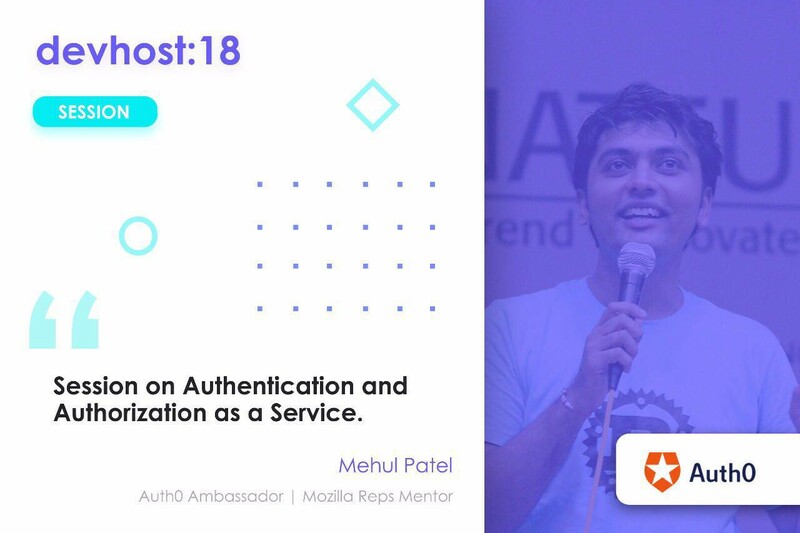 I have talked about Authentication or Authorization as a Service (AAAS). First, I gave a bit of background that Authentication and Authorization are two different processes. But before kicked off to my talk I have talked about the organization which I have represented i.e. Auth0, Auth0 provides authentication and authorization as a service. You can connect any application (written in any language or on any stack) to Auth0 and define the identity providers you want to use (how you want your users to log in). Authentication is the process of verifying who you are. It is used in content management systems, banking systems, personal computer system, etc. Basically, anything that requires the user to provide login credentials or some sort (e.g. a username and password). Authorization is the process of determining whether or not you have the permission to perform a certain action. Assigning certain permissions to certain users based on their experience, area of expertise, etc is crucial in minimizing any unforeseen alterations. In the real world, a bank teller with minimal experience will not have the authorization to transfer large sums of money. Instead, they must request assistance from their manager or supervisor in order to complete the transaction. To put in a nutshell, Authentication and authorization both play important roles in online security systems. They confirm the identity of users and then grant access to your website or application and with Auth0 you can make your life very easy. 2nd days have lined up with amazing speakers, I had a great conversation with them where we have exchanged our knowledge in the area of interests. I would say it was quite a healthy conversation and more like fun. We have discussed the common web security Vulnerabilities with participants. This was a complete brainstorming part where many participants shared their views. The best part was that some professors from the university had also taken an active part in the season. There were rapid-fire questions at the end where participants, professors, and other speakers raised their questions and concerns and have tried my best answer those questions. I have found so many questions are regarding email hacking and spamming which is a general issue these days but you can overcome if you know the basics of email working flow and things to be taken care online. I have shared some tips with them since security is my area and have also suggested some security topics which they implement in their server and applications. They are quite looking forward to using and implement use Auth0 to secure their identity and have recommended them to use Auth0’s open source edition to get started and refer the easy to start document by them. Kudos to all team members who organizing such amazing student-focused conference. Originally published at Rowdy’s Caf`e.